Historically viewed as stoic and insular, the United States judicial branch increasingly connects with citizens to help address significant organizational and societal issues. Engaged citizens expect accessible and credible information from their government, as keeping the branches of government open to scrutiny is a hallmark of democracy. Recognizing the power of this responsibility, and the benefits it can bring, courts use principles of open government to build trust with the citizens they serve. Providing electronic access to case files. Facilitating public participation and collaboration. 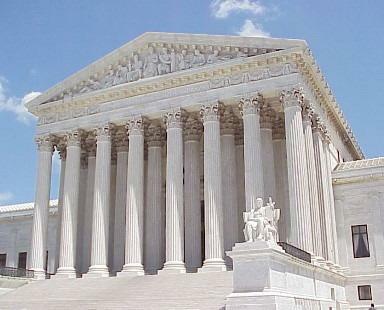 Significant challenges face the modern United States judicial branch. Budget cuts, the rapid development of technology and heightened expectations from the public have placed greater demands on the judiciary. Nationwide, courts at all levels of government have risen to the occasion, using open government to shape new programs and service delivery models. To effectively administer justice, courts focus on transparency and collaboration in their open government efforts. Technology has been a game-changer for court systems. Automating the court’s business process, and transitioning from paper to electronic files, provides the judicial branch with a tremendous opportunity to make the docket publicly accessible with a few clicks. For many courts, including the federal judiciary, the electronic case management system is the essential tool to manage case activity. Jurisdictions increasingly provide Web-based interfaces that allow the public to access docket sheets, filings and decisions, which present a pristine opportunity for transparency. Initiated in 1988, the federal judiciary’s Public Access to Court Electronic Records (PACER) system has over 1.4 million user accounts, and holds over 500 million court documents available for public view. To ensure a high-functioning case management system, courts must consult with stakeholders to understand their needs. As the federal judiciary spent close to three years gathering requirements for their new electronic filing and case management system, they extensively involved internal and external stakeholders. Additionally, the United States Courts regularly utilizes a private consulting firm to survey PACER users. In a 2012 survey, the Pacific Consulting Group found that 90 percent of users are satisfied or highly satisfied with the public Internet-based case information service. The enormous burden on courts to protect sensitive and classified information cannot be underestimated. Personal identifiers (i.e., social security numbers, health care information and bank account numbers), trade secrets and national security information are routinely part of case filings. On a daily basis, courts are targets of domestic and international hackers. Preparing systems to withstand these attacks requires significant attention and resources. Courts use new media, including platforms such as Facebook, Twitter, Flickr and YouTube to connect with litigants and citizens. A number of courts are live-streaming court proceedings online. According to the National Center for State Courts, 34 states, along with Guam, Puerto Rico and the District of Columbia use some form of new media, including 30 courts that use Twitter. In a 2012 survey by the Conference of Court Public Information Officers, 46.1 percent of judges responding stated they use social media profile sites. Through these tools, courts can timely communicate courthouse news, changes in case scheduling and event information. Courts also release decisions through social media, providing real-time dissemination. A number of courts have used online video sites like YouTube to showcase court programs, explain success stories and recruit new employees. Similar to other public institutions, the judicial branch faces a difficult task in balancing the risks of social media use with many benefits that it offers. The National Center for State Courts provides a wealth of information on social media use to help judicial officials make prudent use of these tools. Utilizing public participation has been valuable for the judicial branch, including mechanisms such as surveys, public forums and task forces. With this feedback, courts have tailored programs and legal processes to better meet the needs of their stakeholders and the community. Volunteers have become an integral part of many initiatives, including the juvenile justice system, civil mediation programs and drug court services. For example, the community court model provides a holistic approach to low-level criminal offenses through a locally-focused alternative disposition format. Local community courts employ participatory governance by involving citizens in decision-making. According to the United States Department of Justice, community courts alter the role of the judiciary from a coercive power and symbolic presence, to one that seeks to solve neighborhood problems and improve justice with members of the community. These courts utilize resources from residential, private sector and nonprofit partners to better serve offenders and citizens. By providing electronically accessible case information, using new media and facilitating stakeholder involvement in court programming, the judicial branch utilizes open government to provide transparent and credible public service. For some jurisdictions critics remain, seeking disclosure of all judges’ conflicts, cameras in all courts and access to all case information without cost. While improvements certainly can be made, many courts have successfully embraced open government and accessed critical resources necessary to address big problems. Author: Brian J. McLaughlin, M.S., M.P.A. is an adjunct faculty member with the Master of Public Administration program at Villanova University and a court services supervisor with the Appellate Division of the Superior Court of New Jersey. He has administrative experience with courts at the local, state and federal levels.